An architectural style is a set of constraints put on development to elicit beneficial properties. That is, an architectural style provides a set of rules, or constraints, that limit how the application may be built, how its components and connectors may communicate, and so on. While these constraints reduce the freedom of system implementers, they also help implementers to build systems with well-known properties. To use an analogy from building architecture, buildings constructed in the Swiss Chalet style are constrained to have steep roofs. This constraint elicits a particular beneficial property: snow will slide off the roof, rather than building up crushing the structure. 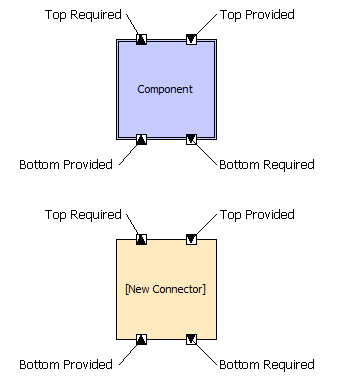 Similarly, the Myx style is a set of rules for composing the components and connectors of an application like ArchStudio. It provides patterns of composition for synchronous and asynchronous interactions among components. It also provides rules for what kinds of assumptions components may make about each other, ensuring a directed/layered ordering of dependencies among components. By adhering to these constraints, Myx applications (including ArchStudio) recieve certain benefits. 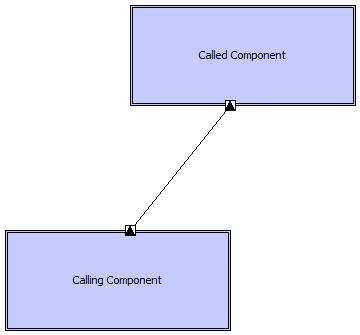 Components remain relatively independent from one another, and it is easy to reuse components. Components only communicate through explicit interfaces, so it is easy to rewire components in different configurations without recoding the components themselves. Explicit mechanisms are present to permit architectural dynamism—the ability to change the architectural structure at runtime—in specific places where the architect chooses. Components are the loci of computation. They can add new capabilities or functions to an application. They can transform data in semantically-meaningful ways. They provide services to other components. Connectors are the loci of communication. Connectors generally support the movement of data and control between bricks. They may change the form of data, but do not generally change its meaning. In Myx, connectors also drive much of the architectural concurrency, as detailed below. NB: Collectively, components and connectors are called "bricks". Interfaces are the "portals" through which bricks interact with the outside world. In Myx, all interfaces are defined as either provided or required. These terms are explained below. An interface is associated with a single brick, and may be considered part of that brick. Links are the associations between provided and required interfaces. Links do not add new services to the architecture: if new semantics are needed between two interfaces, a connector or component should be interposed. Links are inherently non-directional; the direction of control and data flow along the link is established by the interface endpoints. Interface Mappings are similar to links, but are used differently. Interface mappings are used in hierarchical architectures (where bricks contain inner architectures) to associate an interface on an outer brick with an interface on an inner brick. Like links, they do not add new services to the architecture; they merely indicate that the outer and inner interfaces should be treated as the same interface. The default form for an interface in Myx is a set of one or more functions (also known as methods or procedures) that can be called. However, different implementations of Myx systems may use different forms of interfaces. Every interface is designated as either a provided or a required interface. A provided interface is used as the interface to a service provided by its brick. Provided interfaces are the interfaces that are invoked by other bricks. Required interfaces are used to invoke services provided by other bricks. All communication among Myx bricks must occur through interfaces. Other forms of communication (direct manipulation through pointers or references, communication through the filesystem, and so on) are prohibited. To satisfy this constraint and to promote loose coupling, all interfaces on Myx bricks must be remotable. This means that all data passed across the interface—parameter values, return values, and exceptions—must be serializable. Once data has passed across a brick boundary, it may not be manipulated by other bricks through the use of latent pointers or references. If objects are passed across brick boundaries, only the brick that last received the object may invoke its methods. Effectively, this constraint means that components must operate as if they occupy separate memory spaces. Links have exactly two endpoints. Each link connects exactly one required interface to one provided interface. A provided interface may have zero or more links to required interfaces. A required interface may have zero or more links to provided interfaces. All bricks have two "domains" called top and bottom. All interfaces on a brick must be assigned to one of these domains. Both provided and required interfaces can be on the brick's top or bottom domain. Links are used to connect an interface on one brick's top domain to an interface on another brick's bottom domain. This is intended to induce layering in Myx architectures. If a brick B2 is connected to an interface on the bottom domain of a brick B1, then B2 is below B1. Conversely, if a brick B2 is connected to an interface on the top domain of B1, then B2 is above B1. 'Above' and 'below' relationships are transitive: if B1 is above B2, and B2 is above B3, then B1 is above B3, and vice-versa. Cycles are not permitted. That is, a brick may never be above or below itself. A link may not connect a brick to itself. A brick may make assumptions about services provided by other bricks above it, but may not make assumptions about services provided by other bricks below it. That is, a brick may fail if adequate services are not provided above it, but a brick must not fail if no services are provided below it. If a brick requires a service provided above it, but that service is not available or not connected, bricks should make an effort to degrade gracefully. This is known as the substrate independence constraint. Synchronous invocations between components are permitted upward only. In a synchronous invocation, the invoking brick waits for the invocation to complete before continuing. In general, this is achieved through the use of an ordinary function call. Asynchronous invocations are permitted both upward and downward. In an asynchronous invocation, the invoking brick continues processing after initiating the invocation, which proceeds concurrently in a separate thread of control. In general, this is implemented through the use of an intermediate event-pump connector or equivalent. The restriction that all downward component-to-component invocations be asynchronous promotes loose coupling between layers, such that the substrate independence constraint is honored. Additionally, it helps to prevent deadlocks. Applications have at least one main thread of control. Individual bricks can create and maintain new threads as necessary. In general, asynchronous connectors such as event pumps create at least one new thread of control. The Myx style is designed to support selective dynamism. That is, the architect is permitted to determine when and whether a component may be dynamically added to or removed from the architecture, and when and whether a link may be dynamically added or removed from the architecture. In general, a brick may be implemented so it supports dynamic addition and removal and/or dynamic linking and unlinking on its interfaces. If two connected bricks are implemented as non-dynamic, but dynamism is needed between them, dynamic proxy connectors can be constructed to add some dynamism support. Performance: In many implementations, Myx invocations can be implemented as unmediated synchronous procedure calls. Architectural frameworks and infrastructure, then, generally do not participate in the ordinary operation of a Myx system, and thus building a system in the Myx style adds no runtime computational overhead to the system execution. Reusability: Because components and connectors are constrained to communicate only through well-defined interfaces, they can be easily separated. All dependencies are explicit, and in general code for any given component or connector should compile independently. This means that components and connectors can be reused in different contexts, and composed in ways that were not originally anticipated. Flexibility: The Myx constraints, particularly the substrate independence constraint, induce strict layering among the components and connectors in a system. A Myx architecture can be horizontally "sliced" at any point, throwing away the layers at the bottom of the architecture. All dependencies in the remaining components should be satisfied, and that architectural "core" will remain functional. Dynamism: The use of selective dynamism techniques and dynamism-aware connectors gives the architect fine-grained control over runtime dynamism. Concurrency: The Myx requirement to use true asynchronous notifications for downward communication, and its explicit support for true asynchronous requests promotes better use of multiprocessor and multicore systems. Reduced Deadlock Risk: Because bricks operate as if they are in separate memory spaces and do not directly share resources, and because all synchronous invocations go in one direction (upward) in the architecture, it is harder for two threads to inadvertently lock the same set of resources in different orders, causing potential deadlocks. Distributability: Because bricks act as if they are effectively running in separate memory spaces, it is generally very easy to split an application across process or machine boundaries, where bricks are actually physically separated into separate memory spaces. The constraints above induce several common patterns in Myx architectures. We attempt to document some of them here to assist architects in composing applications. Here, we will use a graphical notation to depict the composition patterns. The above shows the elements used. Both a component (double-bordered box) and connector (single-bordered box) are shown; these are also displayed in different colors for more distinction. Both top and bottom provided and required interfaces are labeled. The domain of an interface is indicated by its placement on the box (top or bottom edge). Provided interfaces are depicted with a triangle pointing inward toward the brick, and required interfaces are depicted with a triangle pointing outward. This is a basic upward synchronous procedure call. Here, a required interface on the calling component is connected directly to a provided interface on the called component. In general, these calls are implemented as ordinary procedure calls: the calling component passes its thread of control to the called component during invocation, the called component completes its invocation and returns control to the calling component. Data is passed from the calling to the called component (in the form of call parameters) and returned from the called to the calling component (in the form of return values or exceptions). This is also a synchronous upward call, but with a proxy interposed. In general, proxies add some semantics to the interconnection or the invocations between bricks. For example, perhaps the calling and called components are implemented such that dynamic linking to their interfaces is not permitted. 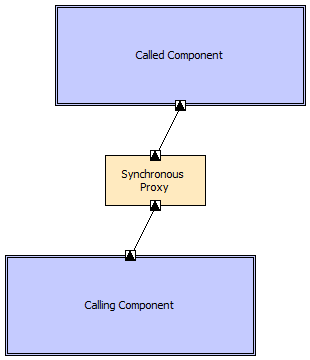 If the proxy connector is implemented in such a way that dynamic linking to its interfaces IS permitted, then the link between the calling and called components can be made dyamic through the use of this pattern. The intermediate proxy may also perform services such as data format transformation, logging, debugging, and so on. This is the most common downward notification pattern seen in Myx architectures. Here, the notifying component emits notifications to the notified components, perhaps of an internal state change or externally sensed event. As per the Myx rules, because these notifications are in the downward direction between components, they must be asynchronous. This is achieved through the interposition of an event pump connector. An event pump connector has simple semantics: it receives a message on its provided interface and, in a separate thread, forwards that message to all bricks connected to its required interrface. Note that the downward calls between the components and connectors are likely implemented as synchronous procedure calls: this does not violate the Myx style rules because these are component-to-connector connections. 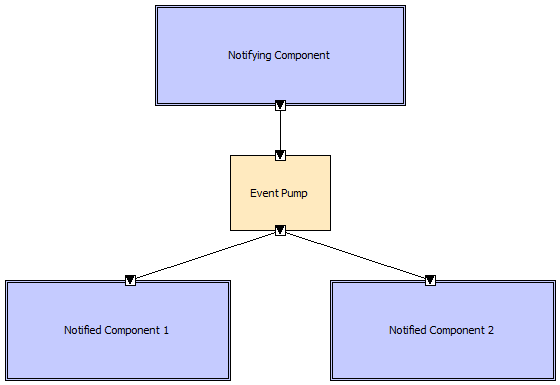 The component-to-component notification semantics are still asynchronous, with the asynchrony provided by the interposed event pump. This pattern mirrors the asynchronous notification pattern. Here, the event pump performs the same function, but the asynchronous notifications are traveling upward rather than downward. After the event pump receives the request from either requester, control is returned immediately to the requester. 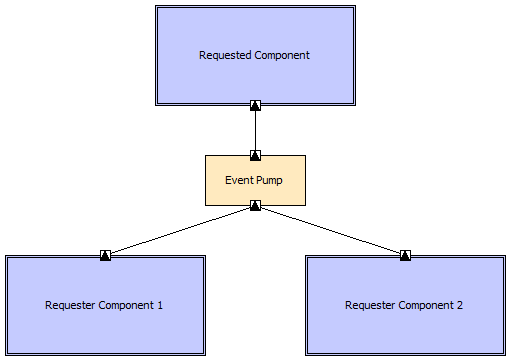 Then, the request is forwarded to the requested component in a separate thread of control by the event pump. 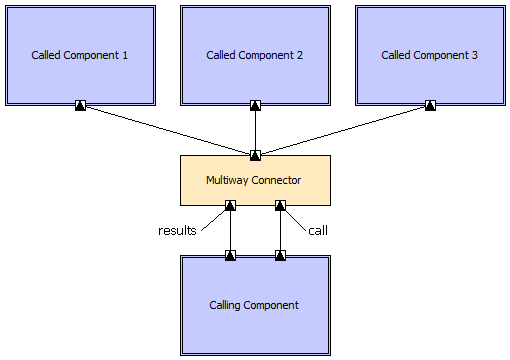 Synchronous Multiway Call: Here, the calling component is blocked until all the called components complete. The aggregate set of results, if any, is then returned to the calling component. Note that this is easier in some programming languages than others. For example, consider a strongly-typed language in which the invoked function returns a single integer. The multiway connector will have three integers to return, one from each called component. The multiway connector cannot then return an array of integers. If this is the case, it is useful to return a default value (perhaps '0') and then provide an integer array of all reults from a separate 'results' interface on the multiway connector, as shown in the diagram above. In a dynamically typed language, the multiway connector could return an array or collection of integers instead. Asynchronous Multiway Call: Here, control is returned to the calling component immediately. If the invoked function has a return value, a default value (perhaps 0 or null is returned). Later, the calling component can call the separate 'results' interface to receive results. The results interface may expose functions that query whether results are ready yet, return partial results, etc. Asynchronous Multiway Call with Asynchronous Notification: Here, control is returned to the calling component immediately, just as in the above scenario. However, an (additional) asynchronous downward link is created from the mulitway connector to the calling component. This is used for one of two purposes: 1) to notify the calling component that results are now available, or 2) to asynchronously provide the calling component with the results, either all at once or as they arrive. In this case, the upward 'results' link in the above diagram would either be replaced by or augmented with a downward link. Building applications in the Myx style requires adhering to the constraints of the style. This can be difficult in a language like Java that does not necessarily have implementation support for all Myx concepts. To bridge this gap, we have implemented an architecture framework called myx.fw that can be used to implement Myx applications in Java. It is currently distributed as an integrated part of ArchStudio, but is also available as a separate package. Portions of this site Copyright © The Regents of the University of California. All Rights Reserved Worldwide. The development of ArchStudio was initially funded by the DARPA DASADA (Dynamic Assembly for Systems Adaptability, Dependability, and Assurance) program. The site now includes results from projects supported in part by National Science Foundation grants IIS-0205724 and CCF-0430066, The Boeing Company, and IBM.